Colorfully painted or charmingly simple? These could be the thoughts running through your mind when deciding on the right letterbox for your home. When you have a thousand and one concepts, designs, and ideas swirling in your head, how, exactly do you settle on the perfect letterbox? Even if you’re a newbie homeowner or an experienced nester, the range of options available for letterboxes in Australia has significantly grown. From the pillar mailboxes of yore to the more stylish options of the modern world, there are letterboxes of varying shapes, sizes, make, color, and design. Over the years, new discoveries on the best materials to use have been integrated into creating these vessels of correspondence. What people learned from their past experiences has led to more ergonomic and theft-resistant designs. The changing climes have also been put into consideration and thus led to weather-resistant letterboxes. A letterbox is a home’s gateway of sorts. It’s one of the first things that people see when coming to a home. It is understandable, then, how people give a lot of attention and consideration in choosing their letterbox. There are varying rules and regulations when it comes to design and construction, performance requirements, numbering, and positioning of letterboxes across locations. It is better to consult with your local post office if they have any requirements or standards that you need to adhere to when putting up your own letterbox. This is better done before anything else so you can save time, money, and effort. At the same time, if you’re living within a gated community, subdivision, or exclusive housing area, check if there are any planning regulations you should follow. You may be obliged to stick to a specific type or design for uniformity with your neighbors. If you’ve checked with the post office and/or other local authorities and been given the go-signal to install the letterbox of your choice on your property, then it is time to figure out which type to use. Will you choose the design according to the ‘personality’ of the house (and the homeowner)? Do you have a spacious front yard? Would you like it to follow the same color scheme of your domicile or would you like it to stand out in contrast? Do you live near the ocean? Is the weather temperate in your area? These are questions that will guide you in deciding on what type of letterbox is best for you property. 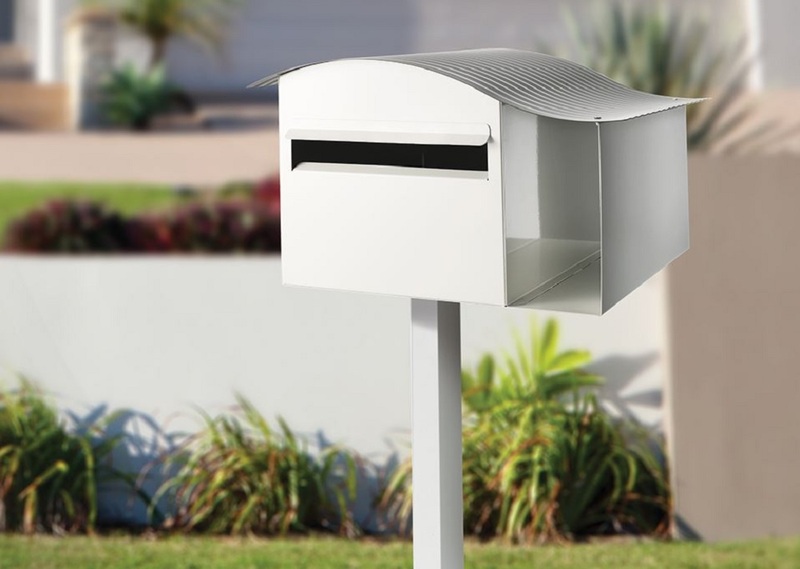 If you have enough space, then you can consider either a freestanding or post-mounted letterbox. There are several options to choose from – made from galvanized steel, wooden posts, powder coated with multiple color and finish options – the list goes on. Meanwhile, if space is a concern, then you can probably opt for a wall-mounted one. You can even go for a brick-in style letterbox especially when your home is still under construction, and have it set within the gate or fence. How will your letterbox be used? Will it be used mainly for letters only, or will you need space for parcels? A letterbox can come with a newspaper slot, can fit A4 mail and documents, or have a separate parcel unit. It can also be key-lockable for added security, can come in rustproof materials especially if you are living near the beach, or can also be rain resistant. Some modern letterboxes even feature solar-powered numerals that light up in the dark and aid in better visibility. If you live in a townhouse or condominium unit and your homeowners association is deciding on a letterbox, there are also multi-residence letterboxes that can house every unit owner’s mail. While there are reports that physical mail has dwindled in recent years because of emails, there are still letterbox loyalists. These are people who favor receiving their mail and parcels, gifts, and surprises in the mail. There are kids and kids-at-heart whose hearts beat fast whenever they see the postman drop a package. Even in the midst of a technology-driven world, there is still the allure of these mail contraptions. They not only serve as an all-in-one reservoir for mails, parcels, and newspapers but also as silent protectors of your privacy. With modern knowledge incorporated in crafting these boxes, they efficiently handle all your correspondence in style and with utmost confidentiality. The above mentioned steps are simple and straightforward guides on how to choose the right letterbox for you and your family. You need not be confused with the myriad of choices out there. All you need to do is focus on your needs, sift through your wants, and let your fingers point to what both your head and heart desire.